Who can resist saying that the first time they post from Russia? The "white nights" (nights without any darkness) are starting to get to me. my body is tricked into an early panic that I have overslept by four hours when it is really just the early early morning. the Russians apparently make good use of this time - one of the tourist attractions we visited was open until 4 am. seriously. 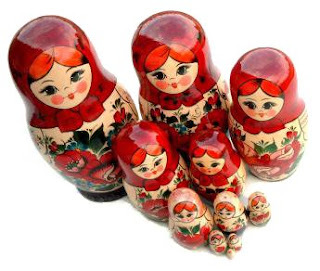 last night i dreamed very realistically that I read a guidebook section about how all of russia has bedbugs. I wish I never learned about bedbugs and you will too as soon as you look them up online. STP does not have bedbugs (or at least our overpriced "palace" does not) but it does have some pretty aggressive mosquitos, which I am sure is the reason for that terrible dream. Peter the Great decided he wanted a city here at any cost, so he (and a healthy number of servants) filled in the swamp that resided here previously and called it good. From the air you could still see the swamp encroaching; it is true. Someone said once something like, STP is different from other European cities in that it is more like them than they are themselves. If Paris is ovwhelming in its coherance, STP is positively bewildering. It doesn't seem possible to have such an extensively coordinated style across such a huge city. I guess they don't call him "the great" for nothin. We truly wish we knew more Russian but it is enough at the moment to tranliterate the signage. It is like the DaVinci code all day for us. Also we have to pay a lot of attention to not getting cut in front of. Sometimes being a tourist is a lot of work. Bu so far, at least, quite worth it. to ride at high price. "Excuse me, I thought you were a suitcase!" We missed national hotdog day but managed to secure some delicious French hotdogs (hotdogs embedded in roll). Bacon-wrapped dog a guilty pleasure previously undreamed of for Swiss Mr. Fresh herring not so bad. More Quasi-literate updates soon. Farewell once again, my dear friends. I shall be in touch! Greetings, readers, should there be any out there remaining. I am touching down at our place for a day or so of rest and rejuvenation before heading out to spend the rest of my youth on a trip even I find slightly hare-brained. There will be much to say about this later but for now I will report on my recent trip which, in short, was delightful. One thing you do not have to worry about in the UK, or at least in Scotland, is getting trapped in a fire. I am pretty sure that you can be anywhere within its confines and be within eyeshot of a fire extinguisher. They are also big on firedoors and emergency meeting places. If I had a fear of fire or was in the fifth grade safety unit this would be very comforting. I am pretty sure Scotland is one of the safest places ever. It is also one of the most heartily awarded places ever. I don't think we ever ate or slept anywhere that wasn't award-winning or top-ranked or recommended by someone or some board. Any feelings of specialness we had wore off fairly quickly. Elementary teachers, take note. I sadly have no pictures to offer to you, as my camera chose to expire on our second day in Paris. Joining our family is apparently a death sentence for cameras, even those purportedly built like a tank. Anyway, the best moments are usually the humiliating and/or transcendent ones during which you would rather not have a photo of yourself. I save these stories for regalement at a future date. Did I ever tell you the one about the time we ate at the miniature four-table restaurant of the Congregation of Beth Israel in Paris? . . . . I say, if the Royal Navy's banning brussel sprouts, why shouldn't we? This is Swiss Mr. here. 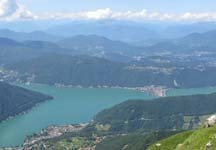 I have hijacked TASM in order to tell you the Swiss Ms. will be Swiss MIA for the next 2-5 weeks. The travel bug bit again, and she is off to some fabulous location, leaving me to clean the chamber pots and scrub the floors. Good thing trusty cat Atticus was left behind to keep me company. In the meantime, see if you can connect these to gents to Swiss Ms.'s travels. 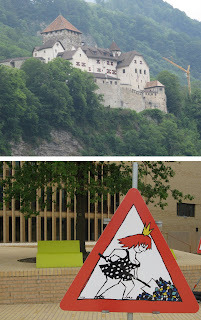 In case you missed it, we were in (The Principality of) Liechtenstein last week. This tiny country has among other things its own royal family, some wonderful wines, and a long history of pretty postage stamps. It also does brisk sales in souvenir visa stamps (3 CHF, value questionable). Apparently FL's elder prince can often be found walking barefoot through the woods and through his vineyards. Who can't love that? Also apparently they make the princess complete roadwork in her nightdress, another something to love. All in all, a visit worth the long drive through 7,000 switchbacks.